How are we as teachers contributing actively and directly to maintaining the status quo of society? How are teachers’ parts of the problems we are facing on earth from the perspective of being at the forefront of the brainwashing of our children, supposedly making them effective (and competitive) participants on earth? It is spring here in Sweden. It is the time of year where butterflies go about their cyclic ways from larvae, through cocoons and into fully developed butterflies. And as such in schools and kindergartens across the country, teachers find it appropriate and timely to teach children about butterflies. So today when I went to work, I firstly went to a kindergarten where the group had bought a ‘butterfly kit’. It was a tiny class jar with five butter fly larvae in it. We watched a film about the butterflies’ process of transformation. 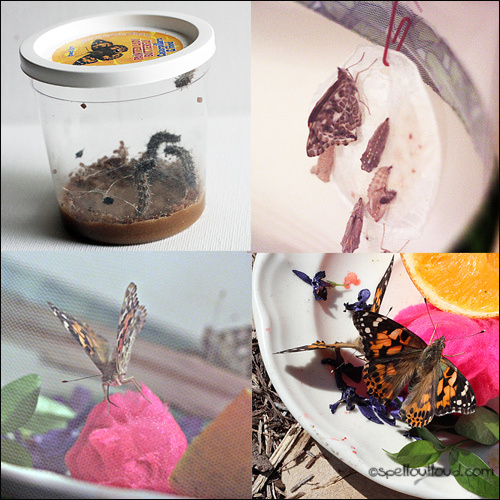 The teachers told me that the plan is to transfer the larvae to another jar from where they’re supposed to grow into butterflies and then they will release them. 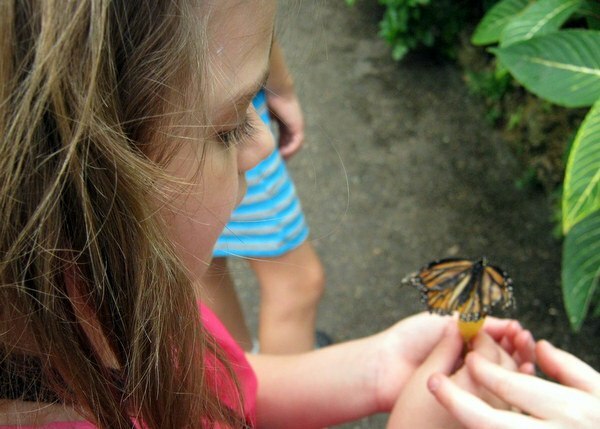 Perhaps for most people this is a sweet and educational project that in no way is amoral or harmful to the butterflies. But all I saw was five creatures, five beings forced into an artificial prison-type environment, desperately trying to get out and back to their natural habitat. Later in the day I went to a school that also turned out to be doing a project on butterflies. All over the walls there were pictures of butterflies and texts describing their process of development. On a table near the window, two boxes had been made, presumably by the kids, made of white paper with translucent plastic covers as lids. Inside the boxes were butterflies and with them were various forms of resources that they’d need to survive, water, flowers, an orange. Again, this would probably appear as an innocent project, a nice project for kids to participate with, learning about nature. But all I saw was two prisons, with butterflies vehemently trying to get out. There wasn’t room for them to fly at all in the boxes. So how is this relevant to the context of teachers being active participants in upholding the status quo in the world – where billions suffer, where our means of producing animals gets more vicious and brutal the more advanced our technologies become? Did you for example know that it is considered perfectly normal in the name of science, to drill a hole on the side of a cow for children and adults alike to be able to observe (and touch!) the cows digestive system? What dissecting frogs in school for example teach us about nature has nothing to do with respect for nature or animals and has everything to do with the delusion of grandeur of man’s dominance over life and the aggrandizement of science as a religion of evolution. 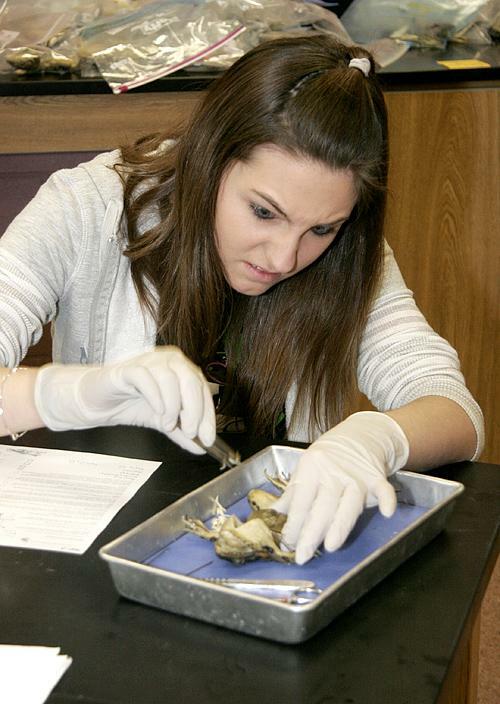 In dissecting frogs in school children learn that the life of other living creatures is less than theirs and that they have a right – and perhaps even a responsibility given their dominance as part of humanity – to examine and understand the biology of frogs. Arguments are made that this is the stuff that doctors are made up – but haven’t technology developed enough that it shouldn’t be necessary to kill innocent animals just so that we can get ‘inspired’ about the ways of biochemistry and anatomy? It is the same with the butterflies in the school class room. Supposedly it is to bring children closer to nature and teach them about the ways of life. But what kind of life is it in fact they’re learning about? They’re learning that they can do anything with nature that they want. They learn to take animals out of their natural environment and enslaving them for educational (and entertainment) purposes. Conversely they learn nothing about the equality of all living beings or the importance of butterflies for the sustainability of the planet. And as a consequence they are inadvertently learning to inferiorize their own lives, as they too are a part of the equilibrium on earth. And what kind of adults do the children grow up to become? Adults that don’t appreciate respect or understand the importance of supporting all life in equality, adults that believe that they have a right to do with nature and other living creatures what they want as long as they can justify it as part of science and evolution. And the world we see and live in today is the consequence and result of such education. And as teachers it is like we exist as nothing but ‘zombie-instructors’ only serving the purpose of drilling children into becoming consumer zombies in complete separation from life. There are so many ways we could teach children about nature in a way where they actually learn to care about nature, to take care of nature, to understand and respect nature. So why don’t we? The answer is simplistic and enigmatic at the same time: Because we were born and raised in and through the exact same education system. As such the problem with teachers is that they would first have to walk a process of deprogramming and delearning their zombie ways before they can stand as examples and guides of what it means to be a dignified human being and what it means to care about life. I am sure many teachers would like to do this in their classrooms. But there are many reasons why they aren’t able to do that. Often the curriculum doesn’t allow it, the budgets doesn’t allow it. The teachers are too focused on making a living, making it through the day to dedicate themselves to make a real difference in the world – even if they wanted to. Teachers become apathetic just like anyone else. But the problem is that they more than anyone (except for parents) stand as examples for children, whether they like to or not. For children to learn how to care about life – how to respect life, we need teachers that care about life. And for us as teachers to care about life, we require walking a process of self-education and self-responsibility to change ourselves. But this is not enough – because our education systems are a reflected mirror of the consumer society – where all we care about is using and spending and satisfying our own self-interest, no matter the cost. So even the teachers who do understand this, doesn’t stand a chance in terms of being able to actually educate children in a way that is sound and common sensical. This is why we are in dire need of a new political and economic system in this world. We need a system that actively support people such as teachers to create an education system that has as its highest priority to assist and support children to care about life. We are proposing an Equal Money System as a solution. In an Equal Money System, all professions will be supported equally in accordance with what is best for everyone in society. In an Equal Money System, we will through a democratic process of voting make life and the equal value of life the highest priority and the first priority of how we live together on earth. If we want children to learn to respect lives, respect themselves and each other – we can’t simply tell them to do that or that this is the best way to live. We got to actually show and share with them an environment where this is the principle we stand and live by. The Equal Money Foundation’s Bill of Rights is one of the first steps in the process of establishing an Equal Money System on earth. If you agree to its principles and premises I urge you to make the decision to dedicate yourself and your life to create an Equal Money System – and to become an example of dignity and equality on earth, so that we can begin supporting our children to learn how to care about life and in turn create a life where all are cared for in equality.